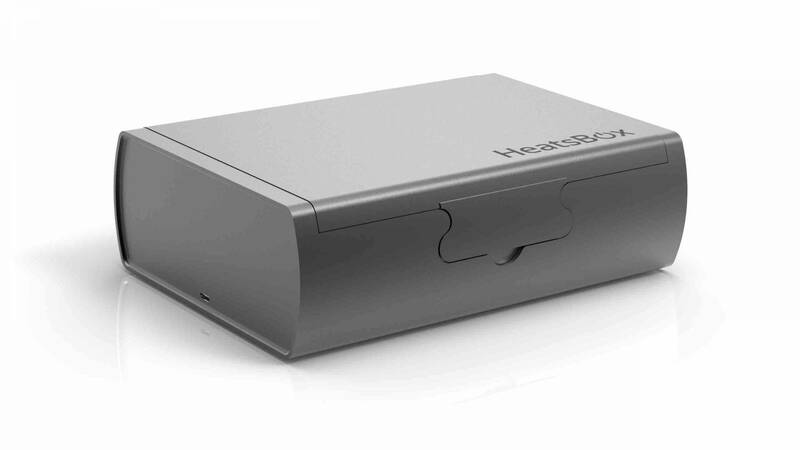 The HeatsBox essentially looks like a portable hard drive, but it's for storing and heating your food, just without all that cancery stuff that comes along with microwaves. We’re not going to lie: we don’t know much about this product (there is very little information floating around), but we do know that we like the cut of its jib. 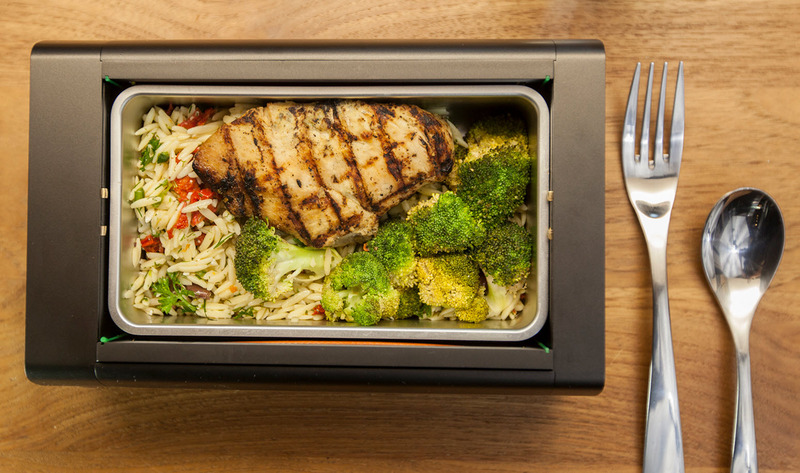 HeatsBox is a portable lunchbox that apparently uses patented technology to heat up a meal within 15 minutes. The device’s leak proof container has a capacity of 28oz and uses an 85 watt heater to maintain temperatures. The box comes in 5 colors: Azure Sea Salt (blueish), Fresh Grass (greenish), Bittersweet Chocolate (blackish), Sweet Bloom (roseish), and Sparkling Champagne (goldish). HeatsBox supports 12v to 240v power sources and has a USB 3.1 port so, yup, you guessed it, you can use a laptop to power the thing. And apparently when you’re done with the meal, HeatsBox has a self-cleaning mechanism that activates with the push of a button. Again, don’t ask us any difficult questions–we’re just drooling over here. In the summer, Faitron, the company behind HeatsBox, was accepted into the Swiss accelerator, Kickstart Accelerator. From over 800 applicants, Faitron was selected as one of only a few “Food” startups; the accelerator focuses on the four verticals of FinTech, Smart & Connected Machines, Future & Emerging Technologies, and Food. After the 11 week program, Faitron’s HeatsBox actually won the food division, beating out food pulverizing startup, FoPo, allergy network startup, myAllergy, and office breakfast catering startup, Dalou. Aside from just making lunchboxes, Faitron has been teaming up with European retailers to explore the possibility of disposable inner dishes that contain pre-packaged meals, available for purchase in supermarkets. There is no word on pricing or whether or not you can order a thousand at a time, but according to a post on their website, HeatsBox will start shipping and selling to the public in the early part of 2017. Good, because any later than that and we’re likely to get a little hangry. How much and where do I get one?? You cannot beat a product like this. I am already trying to think of things I will pack into here for my next lunch! Simple and will work anywhere. I like it! I cannot wait to hear more about this wonderful gadget!